I got two packs of warm Welch's Filled Licorice through the mail and they perked up like a wilted potted plant after cooling off in the fridge. Will we ever have normal weather again? I think not. The only two flavors they have right now are Strawberry and Concord Grape. 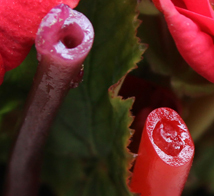 The Strawberry Licorice was substantially better chilled, but sugary and bland compared to the flagship Grape. The Strawberry Filled Licorice tasted more like fruit snacks than I wanted, decent, edible, not great. 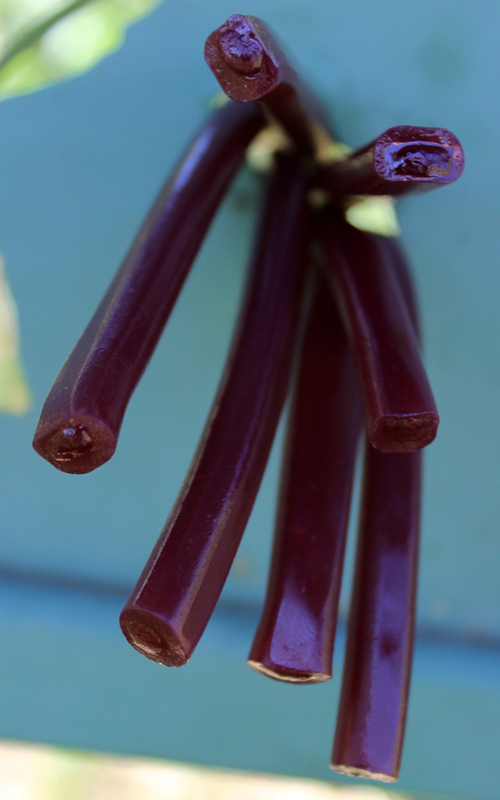 The Concord Grape Filled Licorice showed promise even as the filling drained from its center. It reanimated in the fridge that 90 who knows what hellish degree day, and spurred a quest to find a store that sold it. The marketing firm that sent the samples couldn't tell me where to buy more, but I did get a half dozen names from Welch's, who also sent two .50 cent coupons if I ever did track down a store that sold their product. One place was Dollar General, which I get mixed up with all the others and rarely frequent, another was Piggy Wiggly, gone for decades, and the final recommendation was try your Super Walmart. After doing nasty, unfixable things to a broiling pan, I was in the Sun Prairie Walmart looking for a new one so I looked for some Welch's Licorice too. Didn't find any, kept shopping, came back for a gummy fix, and found a few packs of the Concord Grape all but buried on a rack with one of the packages ripped open. I can't say I'm impressed with their distribution efforts in Wisconsin. If you find it, go for the Grape and be greeted by the quintessential aroma of real grape juice.The jelly filling might be too subtle, but it's there and greatly contributes to a lighter texture and attractive glop at the end of the straw. I love the texture, it feels right and easy to bite. 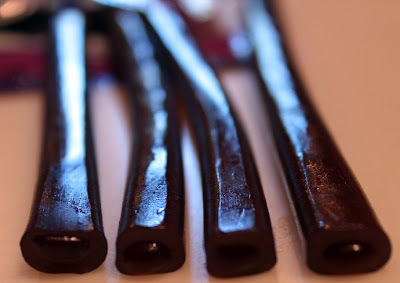 The licorice itself is fairly delicious, maybe more aromatic than flavorful, yet a fine treat, landing more on the candy than fruit snack side of the nosh. My Godfather here loved it, and he's a picky food expert. 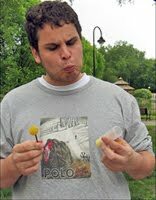 He said he couldn't taste the filling, but it didn't seem to diminish the taste. It was a little like a fruit roll-up, though more solid. 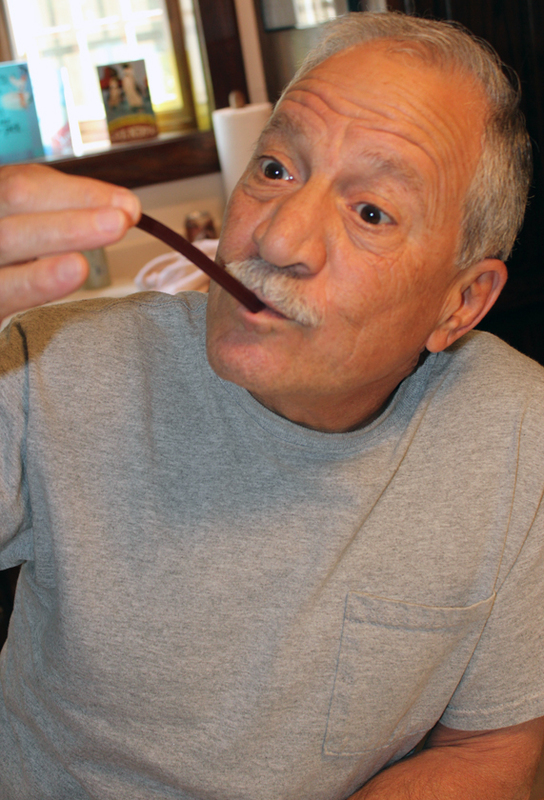 He and Jackie, a regular Dish taste tester, were psyched the licorice tasted so much like Welch's Concord Grape Juice. They said they'd buy it, and all this from a warm pack that was sitting in the car for who knows how long waiting to be photographed. Be warned, there are 26 grams of sugar in five pieces, there are 10 pieces in a pack. Half a pack has 170 calories and only 20mg of sodium. Three purple thumbs up for the Concord Grape, I wasn't impressed with the Strawberry, what's going on with the distribution? outsourced PR for national brands is like 90% terrible, don't you think? I like the use of "glop" and thought it was the perfect word. 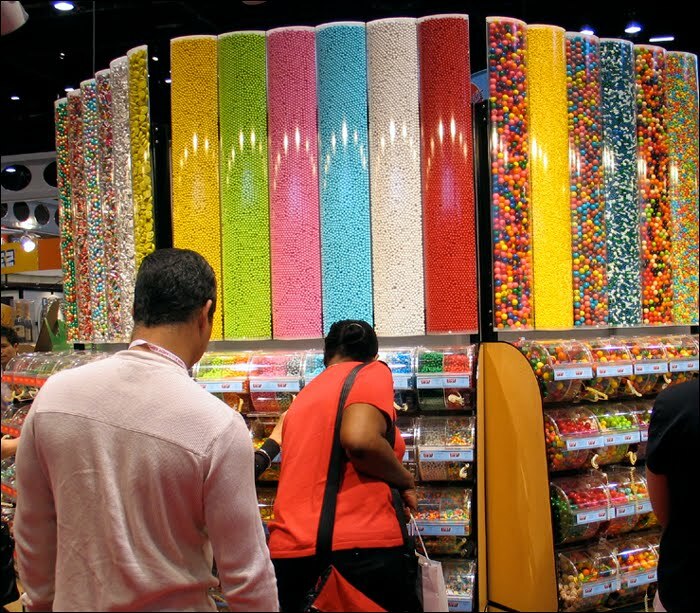 I'm not a huge licorice guy but find myself wanting these. Hey Zill! Thanks, it did glop outta there pretty good. I have a soft spot for licorice & grape. They did okay with unsalted pretzels, but best cold and alone, ha. Makes you want their grape juice.